It’s a three-book special month at the Waterstones Newton Abbot book club this February! 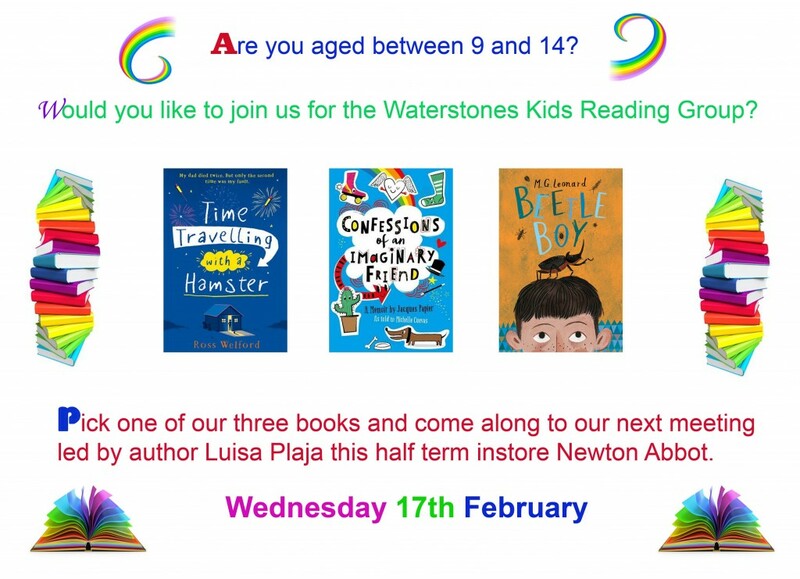 If you’re aged 9 to 14, please join us on Wednesday 17th Feb from 3.30pm in the children’s section of the bookshop. We’ll be talking about the following books: Time Travelling With a Hamster by Ross Welford, Confessions of an Imaginary Friend by Michelle Cuevas and Beetle Boy by MG Leonard. Waterstones will have copies of all three available, but you’re welcome to read just one (or two, or more) and join in with our book chat. Hope to see you there!